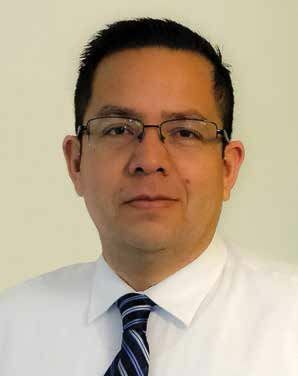 Louis Osuna: AV/IT convergence has placed our organization on a high-level stage of team coordination for new projects and renovation upgrades. The AV and IT departments are no longer two separate entities, as there is a steady flow of communications both directions. The ultimate goal of AV/IT convergence for our group is to provide an enhanced user experience. Every day we walk the fine line of balancing the AV program with the user’s needs. Directors, doctors, nurses, and technical staff are getting more familiar with technologies from the outside world, and they expect to have the same level of functionality and seamless integration when they are at work. Processes and workflows are being reevaluated to enable the full advantages offered by integrating AV/IT and other IP systems. It is imperative that all of this information is communicated to design teams in the early stages of development so that they can provide the proper infrastructure. Louis Osuna: Most of the common challenges arise during AV/IT infrastructure coordination for new projects. When it comes to implementation of the AV program, the IPTV content and AV controller’s functionalities and programming are on top of the list. Louis Osuna: I want to learn about the products that I didn’t know existed. I want to learn about healthcare technology products that are guided to provide a better user experience and enhance the patients’ health and overall environment. Louis Osuna: Large LCD TV screens for conference rooms, patient rooms, and digital signage. Louis Osuna: The biggest obstacle to collaboration is the lack of communication among the teams. Best practices for success include establishing a proactive communication culture, keeping the stakeholders and key team members informed of milestones or changes in the program, and keeping an organized active issues log. Read more highlights from tech managers in the field on www.avnetwork.com.